Terracotta Ultra Shine is the perfect make-up must have to create the ultimate dewy sunny glow. This limited edition powder uses incredibly fine mother-of-pearl in it’s formula to recreate the dazzling bronzed look from the sun. 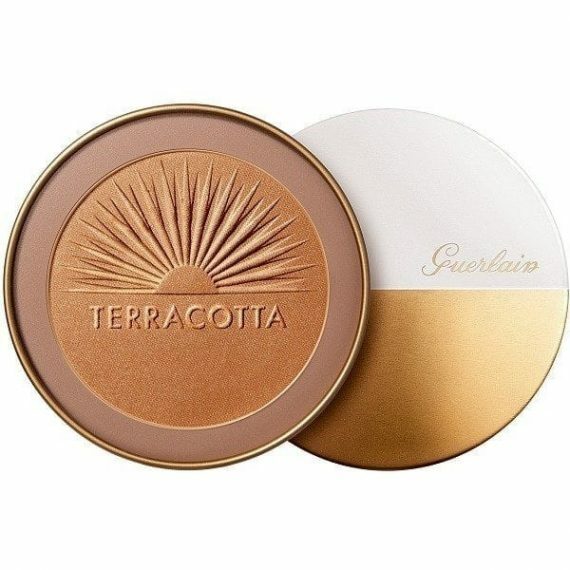 Cased in a stunning minimalistic gold and white case that is reusable, this pearlescent bronzing powder is enriched with Vitamin C and E to invigorate the skin and help combat free radicals. Simply apply to the areas of the face you wish to highlight.